We’ve got some bad news, are you standing comfortably? Sitting down is killing us. Something as seemingly harmless as sitting on a chair has been branded the ‘smoking of our generation’. It was even called the ‘sitting disease’ by Dr. Levine of the Mayo Clinic in Minneapolis, who has done extensive research on how much people move. He and other researchers have discovered that a sitting body uses energy differently than an exercising one, or even a standing one. In fact, sitting down is chipping away at the benefits of the hour you spent at the gym. Why? Simple answer: evolution. We aren’t sedentary creatures. Our bodies were made for moving (hunting, gathering etc.). Instead, we are now spending about six hours a day sitting down, and another seven sleeping at night. If we are awake and not moving, it’s safe to assume we’re sitting. We’re sitting at the breakfast table, on the tube (if we’re lucky), at our desks, at the pub (again, if we’re lucky) and then at home on the couch. Funnily enough, taking the tube and going to the pub may be the healthiest parts of your day. Cars, TV screens and desktop computers are relatively recent inventions that our body wasn’t intended for. Nissan has even built a parking chair! It’s a chair that’ll transport you from the meeting room to the desk without you having to get up at all. Thankfully, this product is intended more as a showcase of Nissan’s self-driving technology, as opposed to consumer sales. But scary stuff nevertheless. We’re at a point where we can’t mitigate the damage done by sitting down by increasing how much we exercise. One last scary fact before we move on the happier things – those of us who sit for more than 6 hours a day are likely to die 15 years earlier than those sit for less than 3 hours a day. So if you want to live longer, stand up right now, ping HR this link and demand a standing desk. 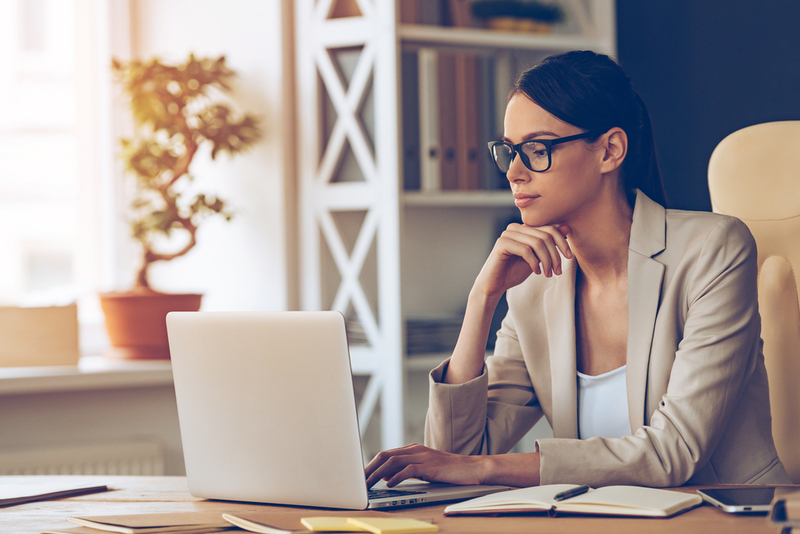 Standing desks may be tricky to get used to initially – your legs might ache, your back might hurt and all that pain might reduce your productivity. But once you’re accustomed to standing during the workday, it’ll work wonders for your wellbeing. We spoke to folks at the furniture manufacturer, Herman Miller, who are big fans of a moving workday. They subscribe to the school of thought that you should stand up for at least 5 to 20 minutes each hour. They make height-adjustable sit-stand desks and have seen them grow in popularity over the last 5 years or so. “Whereas we used to see majority of clients looking for 5-10% seated adjustability, we now see sit-stand making up for 20% of the floorplate,” says Chris Batt, Senior Product Manager at Herman Miller. According to a 2013 study, those who stand burn an average of 50 calories more per hour. So, in an eight hour work day, that’s 400 calories. You’ve made room for that slice of cake or two pints of beer, simply by standing. In another study on standing desks published by Preventive Medicine, 18 participants found that they actually lost weight within the first three months of using standing desks. What an easy way to smash those weight goals! Those of us who sit for more than 6 hours a day are likely to die 15 years earlier than those sit for less than 3 hours a day. We’ve known since the 1950s that sitting down is bad for your cardiovascular system. Back in the day,researchers compared the heart rates of bus drivers (who sit) and bus conductors (who stand). We’ll let you guess what the general results were. Not only does standing up reduce chest pains and the risk of heart attack, being on your feet also produces the good kind of cholesterol. 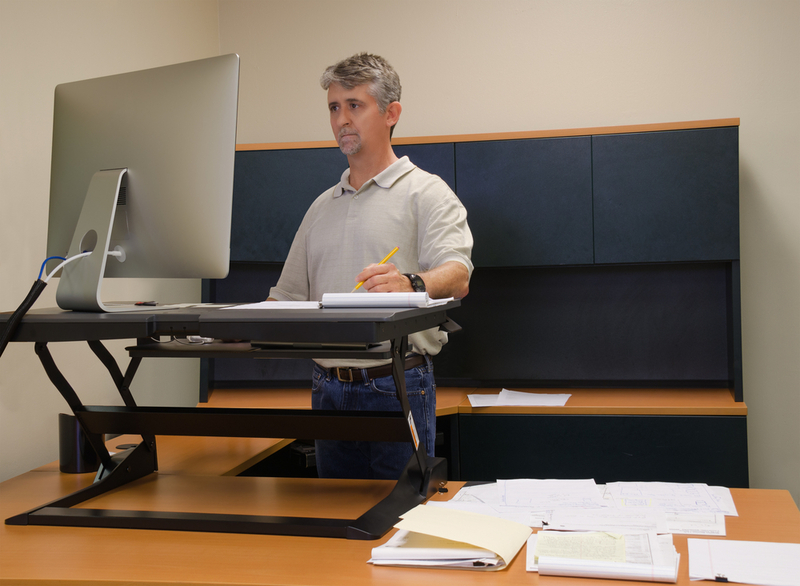 Of course standing desks don’t make up for the lack of exercise. While standing up is better than sitting down, it doesn’t mean you don’t need to exercise at all. So make sure you hit up the gym or go for a run. But you can’t deny that adjustable desks are critical to employee happiness and health. Touché. We couldn’t agree more.